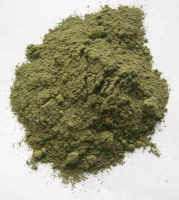 100% Natural Herbal Shampoo powder 'Shampoo Natural' has a unique formulation which is enriched with extracts of nature's ingredients which gently cleans, nourishes and strengthens your hair from tip to root, preventing premature graying and dandruff, giving you beautifully clean, fragrant, lustrous, healthy and manageable hair. The natural astringent for the hair giving them the necessary bounce and vigor. A great gift idea too. Have friends who travel? Shampoo powder doesn't weight down luggage or cause a huge mess when it leaks. An excellent choice for traveling or camping trips! So try it; you may get hooked on a new way of doing things. Sprinkle about 1 teaspoon of powder (2-3g depending on hair length) on the palm or directly on your wet hair, massage well into hair, afterwards rinse out thoroughly. Repeat this process, since the 1st washing removes grease and dirt and the 2nd washing develops the natural foam, which is good for hair and scalp. Impact: This powder cleans in a soft way your hair, particularly normal and greasy hair. 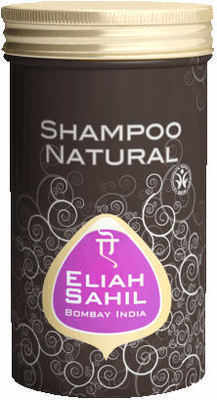 While washing the hair it protects and strengthens the root of hair, diminishes loss, helps with dandruff and gives brilliance to the hair. giving it the necessary bounce and vigor. Give it a try - you will be hooked! !